I always try to give thoughtful gifts to family and friends; something that will be useful and something that they can cherish for a long time as well. And what better way than to give a personalised gift? If you are good with your hands and have the skills then nothing beats a handmade gift. It shows the recipient that you have gone the extra mile and put in some effort to make a lovely gift. But not all are blessed with creativity or have the time to sit and make unique gifts and that's where personalised gifting sites come to the rescue. I picked a personalised multi tool. The tool was engraved with a message of my choice. There was a limit of 48 characters over 2 lines and it was perfect for my requirements. The tool features 9 practical tools including pliers, ruler, bottle opener and screwdriver among others. I knew this would be ideal for the recipient and I was right about it. The gift that I ordered was perfect, well made and of very good quality according to the recipient. It came well packaged and was delivered within reasonable time. Online shopping is one of the best things to have happened to busy folks who do not have time to go out and purchase gifts. And when the gifts are personalised for each recipient, it is like icing on the cake. 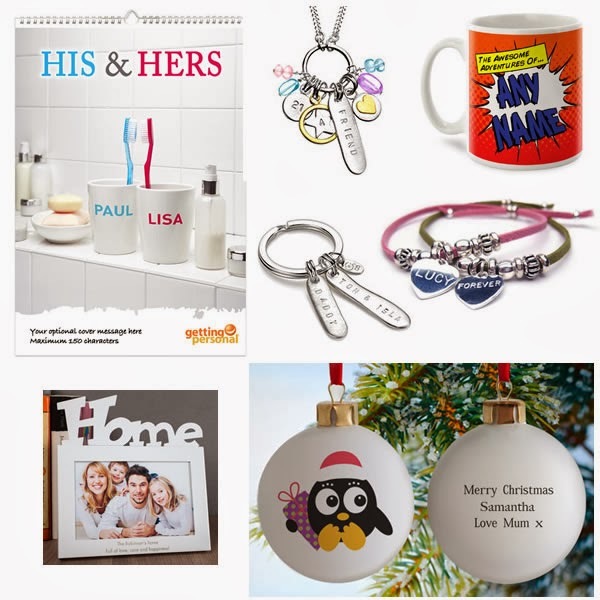 If you are looking for some unique gifts for the festive season, then do check out GettingPersonal.co.uk. Their customer service and delivery are also top-notch and you are sure to have a wonderful stress free shopping experience like me. *This post is in collaboration with GettingPersonal.co.uk. I was kindly allowed to pick one item of my liking for review. Views expressed in the article are like always my personal opinion and I was not compensated for the review.